i'm a life long car enthusiast and graphic designer with my own design + apparel company. the heyday of Trans Am came before i was born, but i grew watching and worshipping them at vintage racing events all over the east coast. 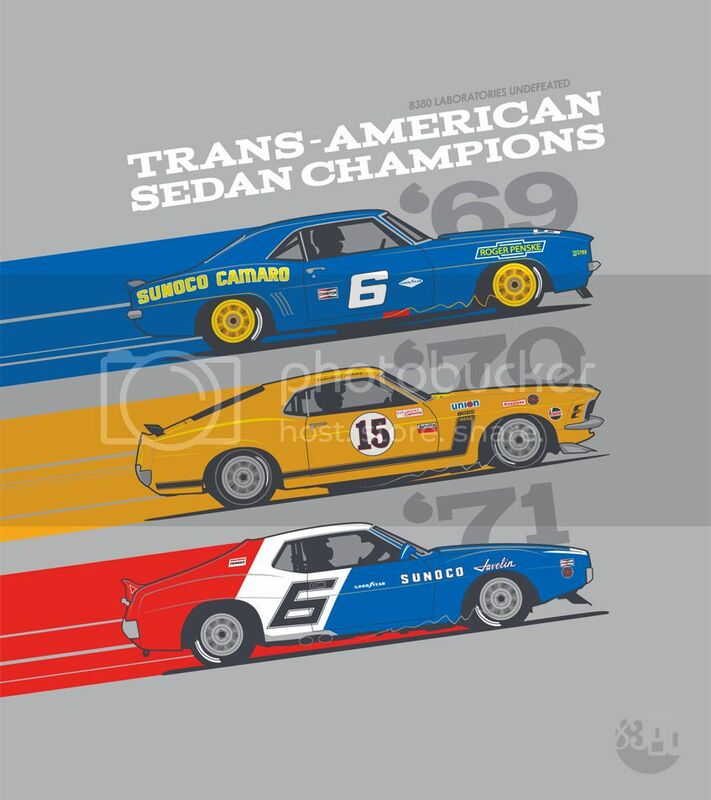 i recently came across this site while researching a Trans Am themed design - a serious treasure trove of great pics and info. i've been slowly wading through the forum, as well as many of the other sites i've seen linked from here - i'm glad there are people keeping this info alive. in any case, i figured i'd share the design, since it's relevant to what's going on here. Great stuff...you just need to put open face helmets on them all.